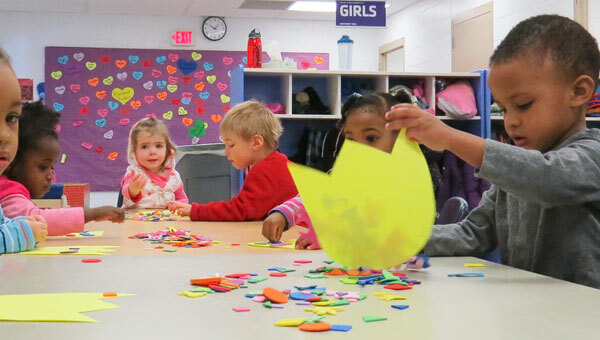 YMCA Early Childhood Learning Centers provide quality and affordable full-day care and education for your child, ages six weeks to five years. Contact the program director at your preferred location to see classrooms, meet staff and more. Nurturing full-day care combined with early childhood learning motivate kids intellectually, socially, emotionally, and physically. We are committed to helping your family learn, grow and thrive. In our infant care rooms, staff members build positive individual relationships with at least one adult for every four infants. Kids develop their cognitive skills through hands-on activities that create enthusiasm and excitement for successful learning in our preschool rooms. Students develop skills for kindergarten readiness—socially, emotionally, physically, and cognitively in our pre-kindergarten rooms. We encourage parents to participate in Child Care programs whenever possible. You’re welcome on field trips, as guest readers or speakers in the classroom and much more. Talk with the program director at your Y Child Care location to determine how you can best lend your talents. We also offer part-day Preschool options during the school year.